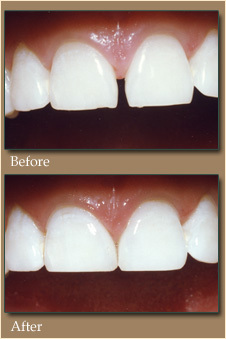 Cosmetic tooth bonding can work wonders for your smile. Tooth bonding can correct a tooth gap, cover spots, chips, and discolorations, repair fractures, and even reshape teeth. It is also great for an instant repair of a broken front tooth. The tooth bonding procedure involves roughening the surface of the tooth, applying an adhesive, and eventually shaping a putty-like resin into the desired shape. After the material has hardened, Dr. Kagihara will then further trim, shape and polish it to make it match the rest of your mouth's structure.